It began shipping oil with an initial capacity of 150,000 barrels per day, 65 years ago this month. May 29, 2017: The B.C. NDP and Greens agree to form a coalition to topple the Liberal party, which won a minority government in an election earlier in the month. The two coalition partners agree to "immediately employ every tool available" to stop the project. Oct. 26, 2017: Kinder Morgan Canada asks the NEB to allow work to begin despite a failure to obtain municipal permits from the City of Burnaby. March 23, 2018: Green Party Leader Elizabeth May and New Democrat MP Kennedy Stewart are arrested at a protest against the pipeline expansion; Federal Court of Appeal dismisses a B.C. 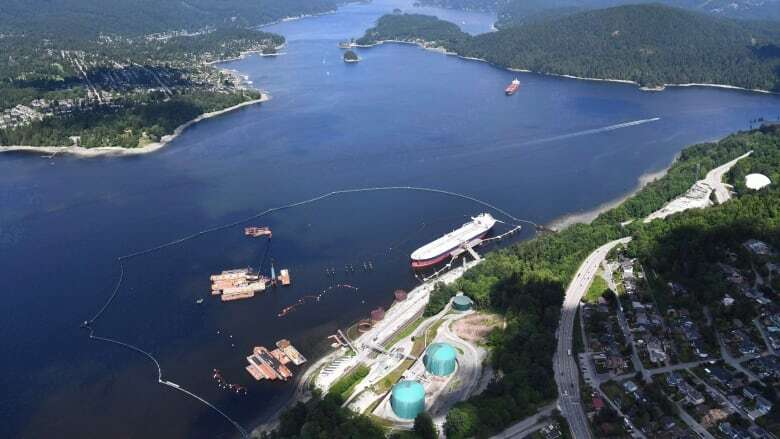 government bid challenging a NEB ruling that allows Kinder Morgan Canada to bypass local bylaws. May 29, 2018: Federal government announces deal to buy the pipeline and expansion project from Kinder Morgan Canada for $4.5 billion. Aug. 23, 2018: The Supreme Court refuses to reconsider a lower court decision that denied Burnaby leave to appeal the NEB ruling. Aug. 30, 2018: The Federal Court of Appeal overturns the Trudeau government's approval of the pipeline expansion. In a unanimous decision by a panel of three judges, the court says the NEB's review of the project was so flawed that the federal government could not rely on it as a basis for its decision to approve the expansion.